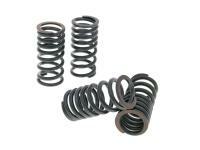 Malossi valve springs in hardened steel with titanium coating. 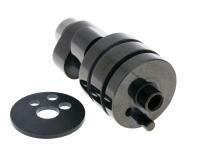 Perfect for tuned performance cylinders. For a revvier engine that delivers more power. These valve springs are heat and wear resistant and have been subjected to strict quality control guaranteeing durability under high load.